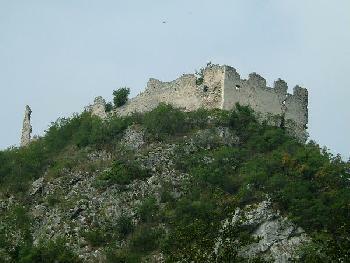 Old remains of the castle. Belecgrad on the slope of mountain Ivanscica. View from hill Mindjalovec (659 (msh) to ruins of Belecgrad.